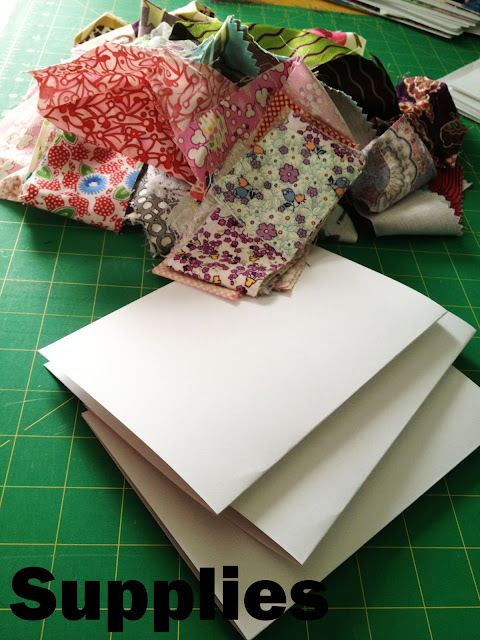 Do you keep every single scrap from your sewing projects? I know I do! I always try to come up with ways to use them. 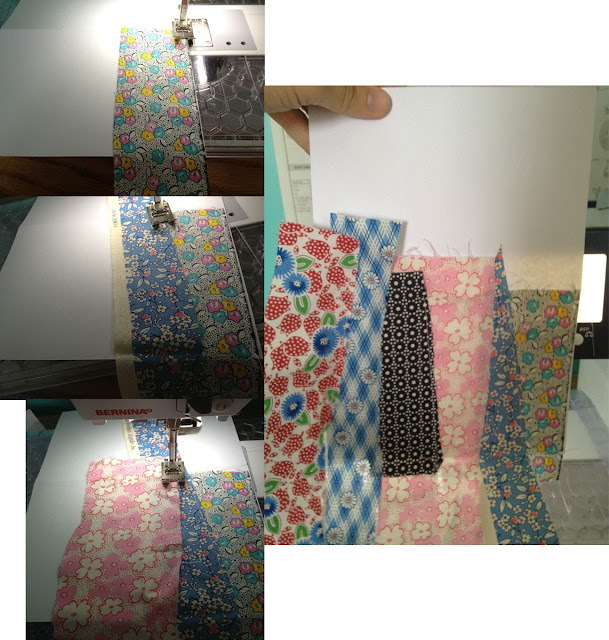 I wanted to send a thank you note to a friend of mine, but didn't have the right card---so I made one with scraps of fabric, cardstock and my sewing machine! So grab your scrap pile and dig in! 1) Pick out a variety of fabrics that look nice together, whether it is by color, theme, etc. When I design my cards, I do it in a random, work as I go fashion. Some of you may want to do it that way, others may want to lay it out before sewing. 2) It's time to start sewing! With the right side of the cardstock up, lay the first piece of fabric in the desired location. Stitch across one edge of the fabric. Lay the second piece in the desired location, and stitch across the same section. Keep doing this until the front of your card is filled up. 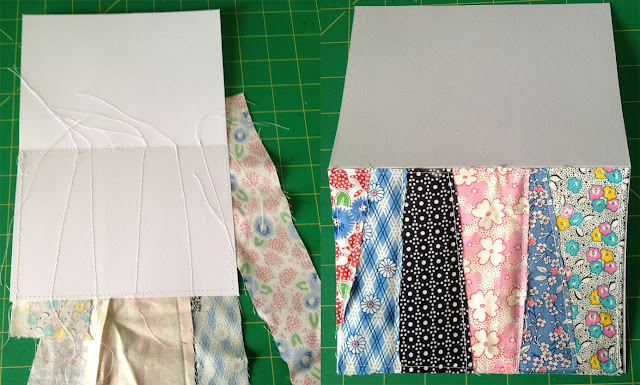 3) You can do some straight, zig zag or decorative stitches across the surface to create some interest.When finished, stitch around all four sides of your card face, making sure you catch every piece of fabric. 4) Cut off any excess fabric hanging off the sides of the card. 5) Fold your card at the fold line. Write a note inside and you're finished! What a fun and creative way to send a note to your favorite person! 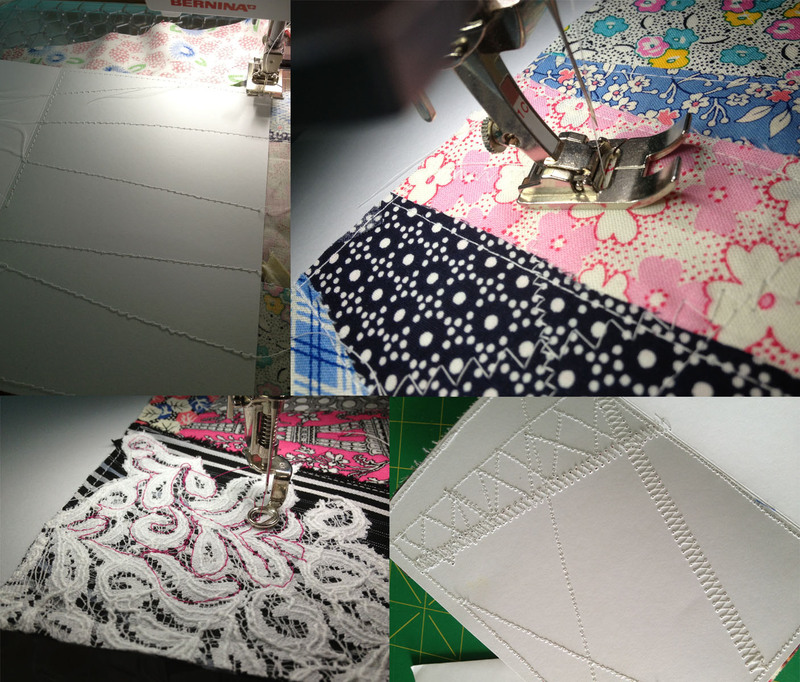 I enjoyed experimenting with different types of fabrics including laces, sheers and trims. This is a great way to enhance the face of your card. Have fun with it, the possibilities are endless! Placing the pieces on the bias would reduce form fraying along the edges. Cute idea. I love the idea of being able to use every single scrap! Thanks for a good idea.